The Vietnam war started dividing America in the 1960s between the young (students, the draft, racism) and the old (silent majority) and the division grew with the election of Nixon. The song above and several at the bottom was a protest song and part of a campaign to raise funds for the Chicago 8 protesters who were arrested during the Republican Convention there, which nominated Nixon who went on to win that November. Also below is a postscript to Aretha Franklin from David Remnick of the New Yorker. Aretha Franklin, may she Rest In Peace, is a great symbol of the dramatic times of the ’60s and ’70s when the whole liberalization movement started: liberalization from conformity, for women and the realization and rising awareness of the social injustices for Afro-Americans and minorities in general. Certainly disruptive times! 2010-2018 has been a time of economic recovery immersed in uncertainty and disruption. Top hits are romantic, love songs from Ed Sheeran, John Legend, Adele, Rihanna with some have a dance beat from Drake, LMFAO, Justin Bieber, Pharrell Williams, Justin Timberlake to name just a few. “While it’s too early to determine conclusively how the economy will perform for the majority of the Trump presidency, early signs have been positive, as the stock market improved and unemployment remains low. If this holds up, expect sadder and slower hit songs under Trump.” (Billboard.com, 2017). The market continues to rally in 2018, what music are you hearing? Only now are those Animal Spirits being released as Americans spend again and are surrounded by job vacancies. Perhaps what was a stalled recovery at the beginning is now finally gaining momentum with growth taking on a normal “V” shaped characteristic rather than actually peaking. The charts below are a reminder of what the past 50+ years have witnessed, with significant disruption, both social and technological, volatility, violence and greed, but also tremendous progress and prosperity worldwide. Watch those interest rates, if they stay relatively low, there could be more to go! After the charts below is the postscript for Aretha Franklin and selective videos displaying her great talent. It is difficult to say what music is indicating today except that it is missing that “soul”. Markets are certainly climbing that wall of worry! Let me know what you think? Rising Stocks and GDP didn’t help the incumbent Democrats in 1968, weak economy and falling markets accompanied Nixon’s resignation and Reagan’s election in 1980. A time of Rock N’Roll (Dancing), Hard Rock (Psychedelics + Swooning) and Protest Music – Variations of Sounds! 1968 (Nixon is elected, Anti-War Protests grow) – 1989 (Berlin Wall falls) and in between during the ’70s, the oil crisis, high inflation, high interest rates, Reagan, the start of the Bull market, 1987 crash, Japan peaks), i.e. Lots of VOLATILITY! Rock and Disco and then the Modern Pop Stars hit the stage in the ’80s! Music turns to streaming and artists feuding (dissing) in order to gain visibility and sell their music! It is very sad about Aretha Franklin, like Tom Wolfe and Philip Roth, some people should live forever…their legacies will! 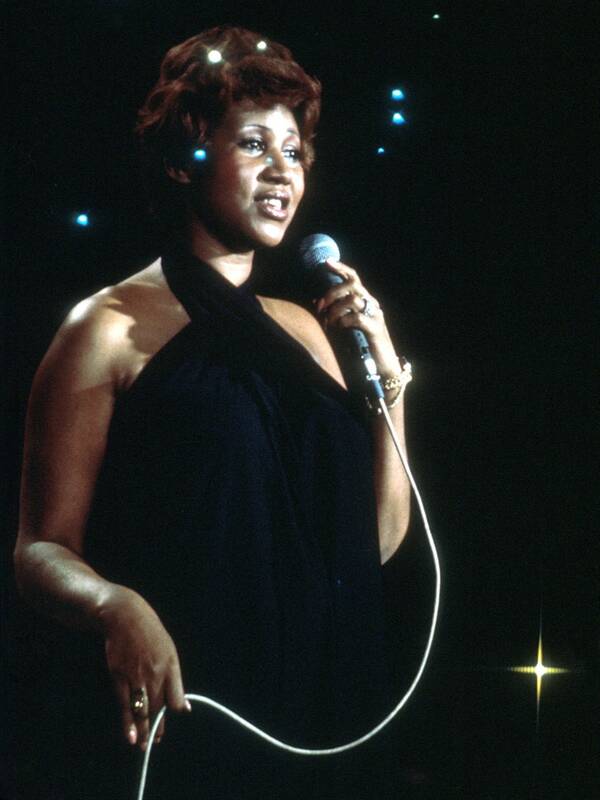 Aretha Franklin performing in 1970. “Skylark,” from “Laughing on the Outside,” in 1963. “Chain of Fools,” live in 1968, in Amsterdam. “Bridge Over Troubled Water,” live at the Fillmore West, in 1971. “Mary Don’t You Weep,” from the gospel album (and still unreleased film) “Amazing Grace,” in 1972. “Amazing Grace,” with the Reverend James Cleveland on piano, in 1972. If you want a good cry, you shouldn’t miss Franklin singing at the Kennedy Center Honors—an Obama-era moment, though Obama could hardly claim center stage when the Woman in Mink sat down to the piano. She’s nearing the end, and yet she hits the notes of her youth. Billboard: Best Protest Songs of 2017-Top 20 Know any? Are we in for more volatile markets? Music in the 21st century gets more feminine and even more experimental reflecting the on-going disruptions also in the economies and markets indicating more volatility with a positive upward trend?